Push Button Commissions is a new binary options trading software. The developers of this system push beautiful images of expensive houses and cars and give us the impression that this can all be ours with the push of a button. Today I will be providing a review and letting the readers of Binary Today understand my impressions and opinions of this product. In the push button commissions video we are expected to believe that they are going to give us free cash gifts just for getting to the end of the video. As the video continues we watch the developer enter his house and hit on his wife that is cooking a meal for him after he played a baseball game. I’m not sure why I’m telling you this but I’m also equally unsure as to why it’s an important element. Obviously it is a sales and marketing tactic and they are trying to sell us a dream. They want us to believe that happiness can be achieved from this product. As the video continues for the push button commissions software there is little to no discussion of the software. He tries to keep us hooked by telling us we will be wired money directly to our accounts and he’s doing it for a great reason but won’t tell us why. We then learn more about the claims he’s promoting when he says that we can be making over $100,000 per month using this software. I will not be recommending the push button commissions software to any of the binary today readers. This is clearly another free binary options software making major claims, get rich quick type claims. This is not the type of investment opportunity that we believe in at binary today. We are looking for healthy investments with strong strategies and a back bone of success. If you have anything you would like to add to this review please leave your comments below. I look forward to hearing from you and hope that you spend some time here looking at the work we’ve done and the winning opportunities that have presented themselves to us in this market. Worst investment ever. I never could get my money back. They should be put in jail. Making money off of deception. I just purchased pbc because I am in desperate need of money not knowing that when I signed up that it would take me to coolhandle.com. After filling out and submitting the form it hit me. This looks nothing like what the man was speaking of on the video. In fact it was just an affiliate. I called coolhandle.com and they said that they do not refund money and that it state that in their policy. Well first off when you click on their agreement it just takes you back to google search and if you do it on pbc you get nothing. I feel like an idiot! So with that being said….. how do you feel about Nadex? 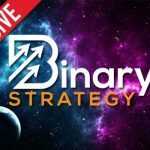 It is a live binary feed that you can invest in and choose what you want your money to do. Help me out please. I have watched video, and payed for which I thought was for the so called free services and then was ask.for more funds, and aftet so long my log in doesnt exist. That is so wrong, and basically was mislead and lied too. On how you get started, u forget to tell people about the payment to open acct and $250 to get started. Really sorry to hear that Anita. Hi. I did receive Adam’s solicitation email for PBC & watched it all the way to the end, thinking i would get $300 – $1,000. At first, & up to the very end, he was a very believable & convincing speaker, or manipulator, actually building my hopes that i finally had something to make some decent money. I really do need & want to find something i can do online to make at least $500 – anything more than that each month. Well, at the end of his video there was no Step 1 form to fill out & no brokers listed to choose from, so that was the end of that. I wasn’t REAL surprised, but a little disappointed, & then i figured that what happened may have just saved me money & kept me from being ‘sucked in & scammed’, again. I have received another email from PBC with two brokers to choose from & the opportunity to proceed with signing up, but i really don’t know if that is a good idea or not now. Any advice or suggestions on which way to go, or who to go with to make money? I am only able to invest $300 – $500 initially,& i can’t afford to lose it or go in debt. Thank you for your assistance. ?